Mexican food is my go-to when I’m eating out and want to be healthier. 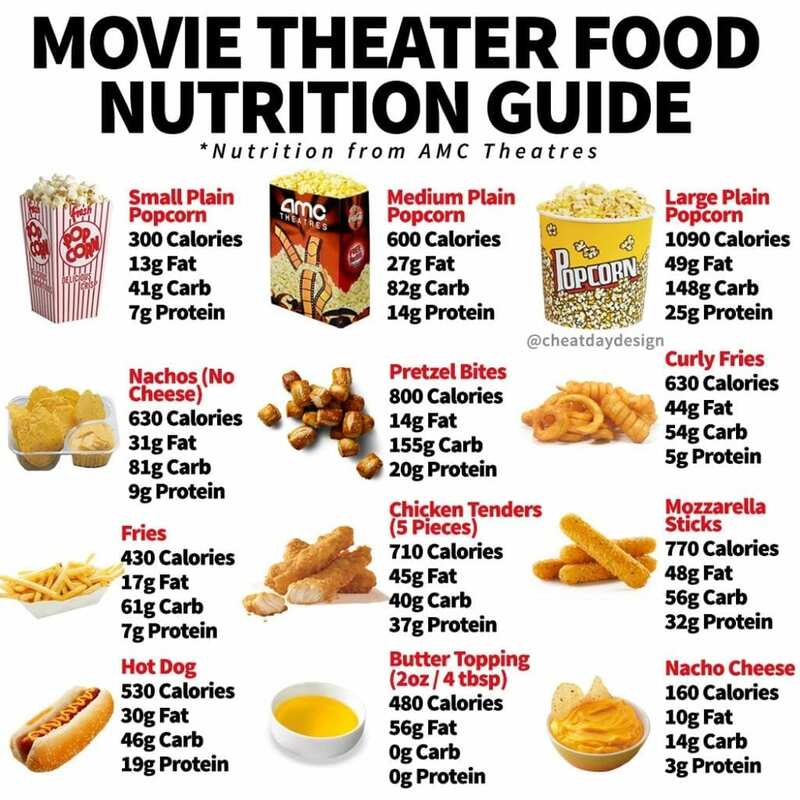 And while Taco Bell may not be the highest quality food (I mean, it is fast food after all), it’s very easy to enjoy a macro-friendly meal there. You have the option to do the research and browse the menu for healthier options, or you can just build your own tacos! 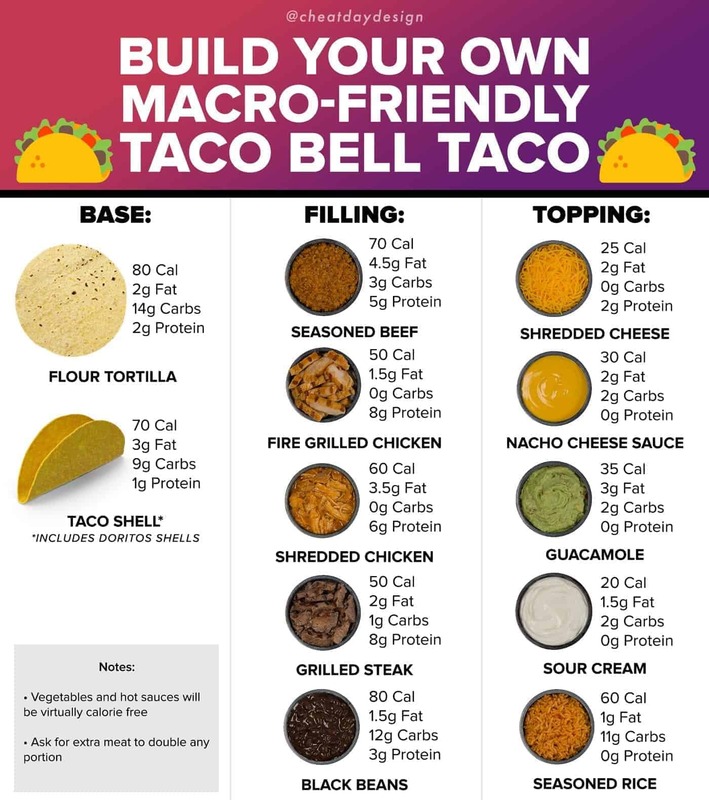 Use this guide to put together your own taco masterpieces on your next late night Taco Bell run. For example, you can enjoy one hard shell taco with chicken, cheese, lettuce, tomato, onion, and hot sauce and it’ll only run you 145 calories and 11g of protein. 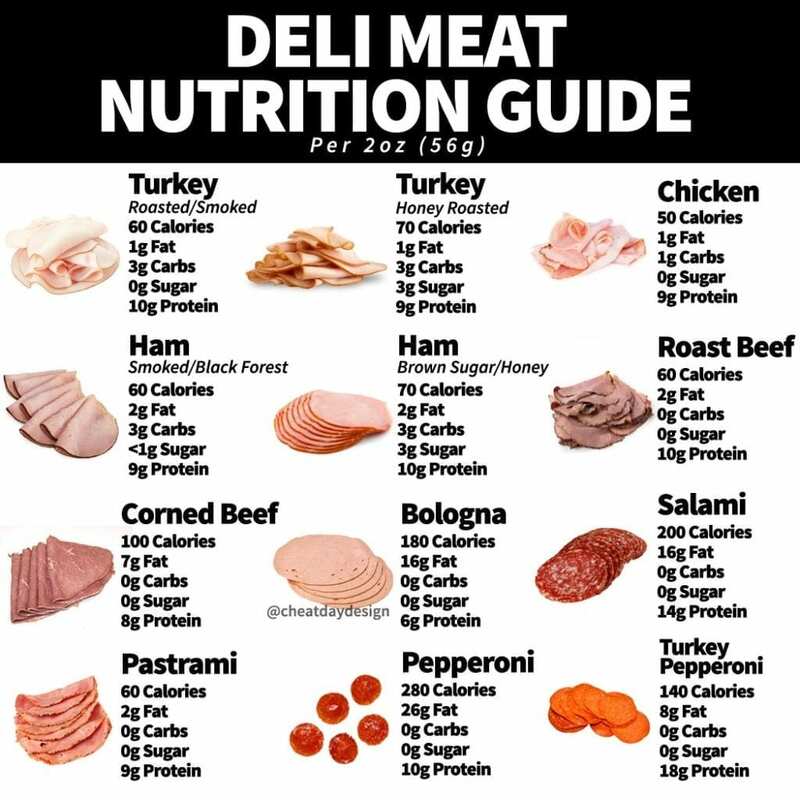 Easy to fit into anyone’s macros! Are you a Taco Bell fan? 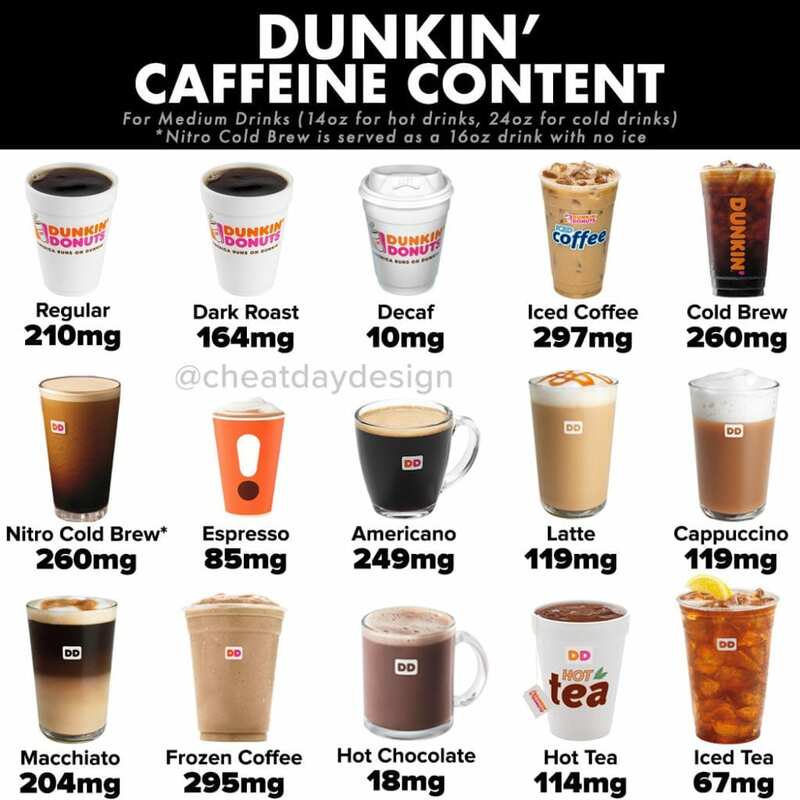 What’s your go-to? 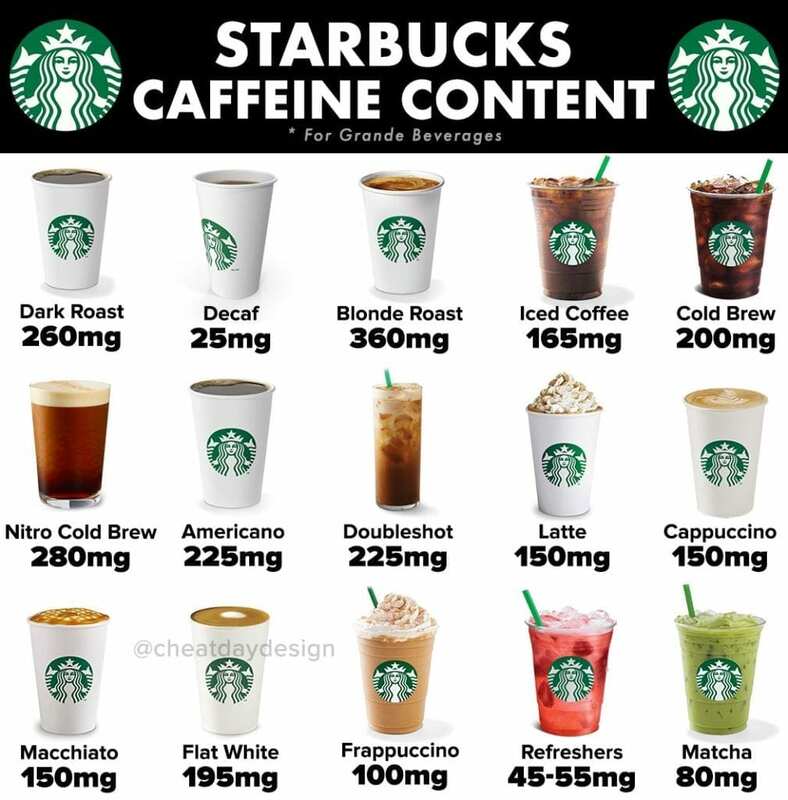 Obviously the cheesy gordita crunch has to be up there on the list, but isn’t necessarily the most macro-friendly. And a quick life hack- they sell the hot sauces by the bottle. If you’re not putting fire sauce on everything, you ain’t living.